We planted all of our vegetables: zucchini, summer squash, carrots, butternut squash, spaghetti squash, yellow onions, green onions, tomato plant (the only thing not from seeds), cherry tomatoes, roma tomatoes, watermelon, cantaloupe, 3 kinds of cucumbers. 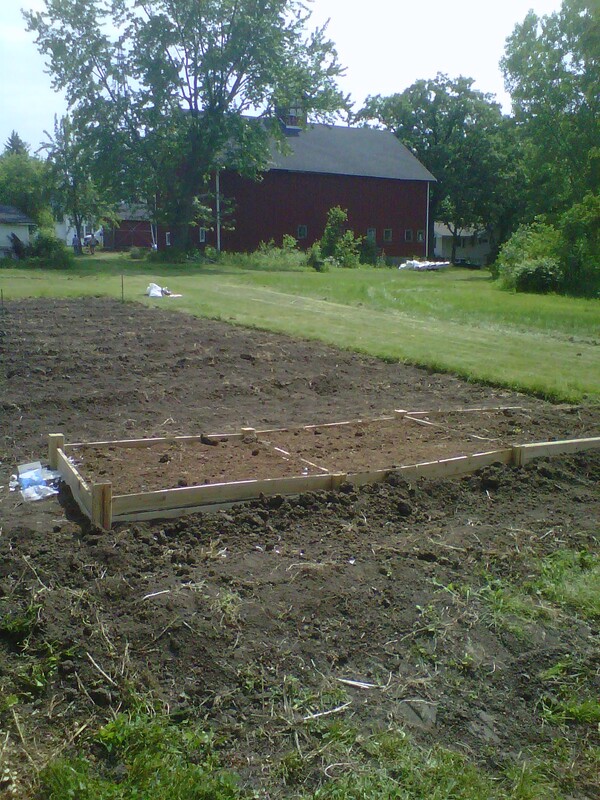 This year we also decided to build four raised beds. 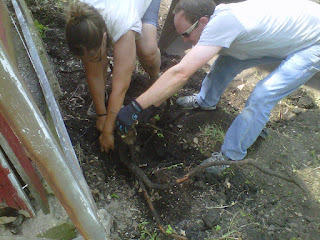 We planted: raspberries and strawberries in one and asparagus in the other. 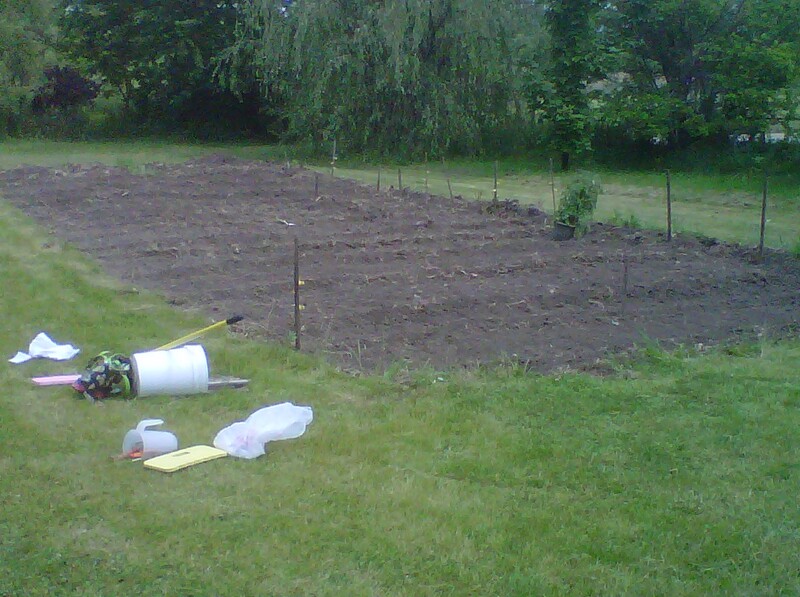 We also planted dill in one and garlic in another so I don't have to buy dill and garlic when I make my pickles. 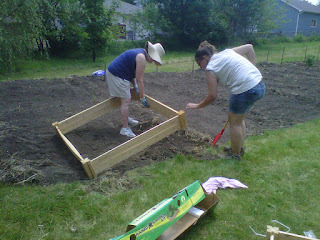 We had a pile of dirt leftover from last year and we needed it to fill our raised beds. 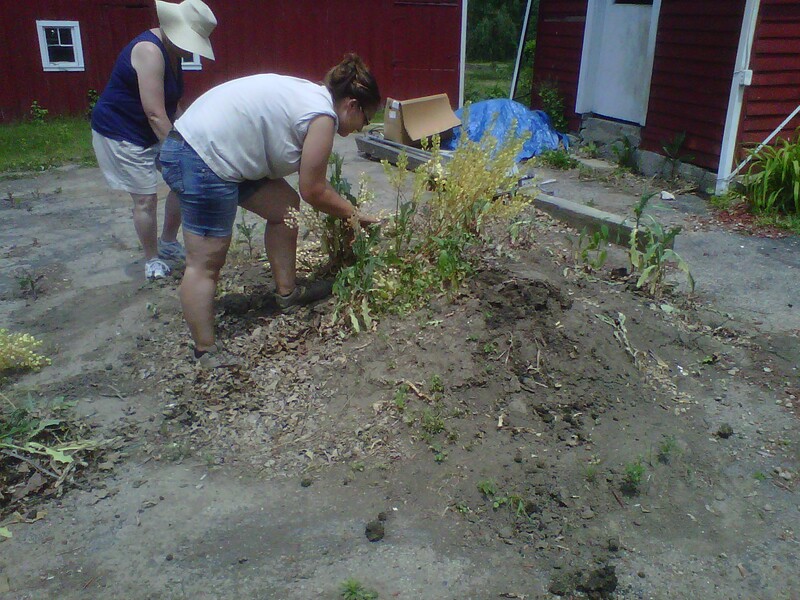 But first we had to weed the dirt pile! 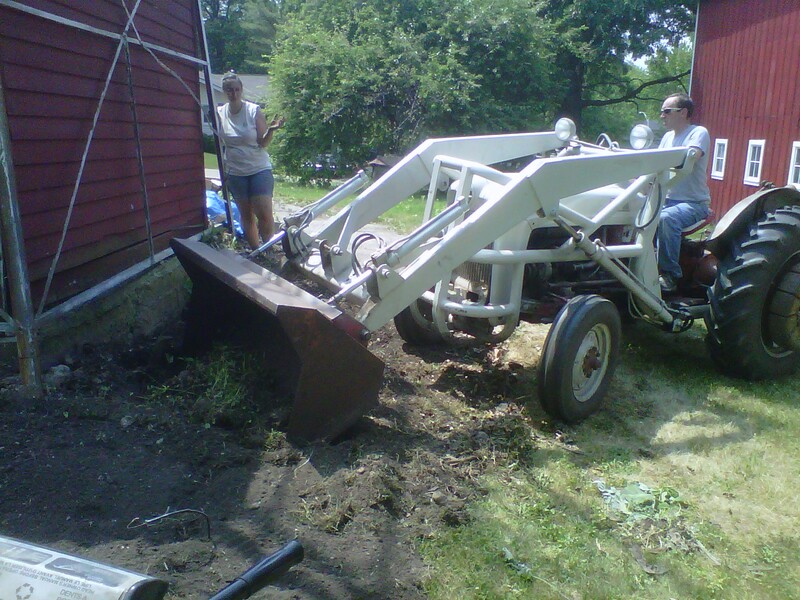 Another project that day was to start digging up around the pumphouse. This was a project we started last year, but wasn't able to be completed. 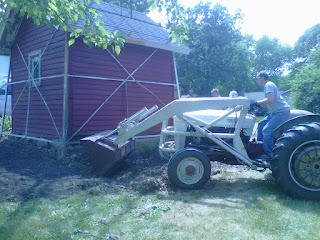 I really wanted it finished for my graduation party though! 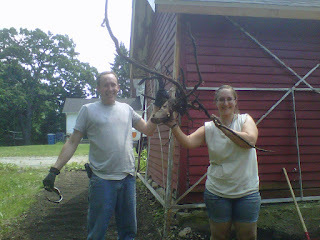 Amy and Adam worked really hard with muscles and the tractor to get this huge root out! Then Amy rototilled around the back and the side. After that, I planted wildflower seeds around both sides. I've really been wanting a wildflower garden. 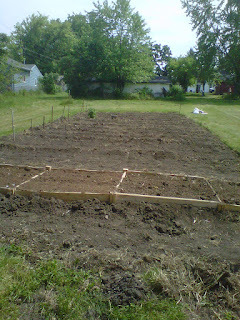 The completely planted vegetable garden! 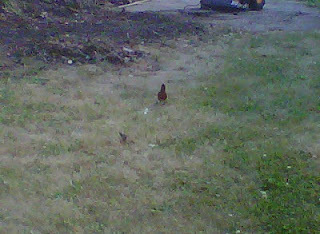 This bird was trying to foil my plans by eating my newly planted seeds out of the ground. I've never hard that issue before. My plants better grow! After we watered the first time. We've been watering every day since! 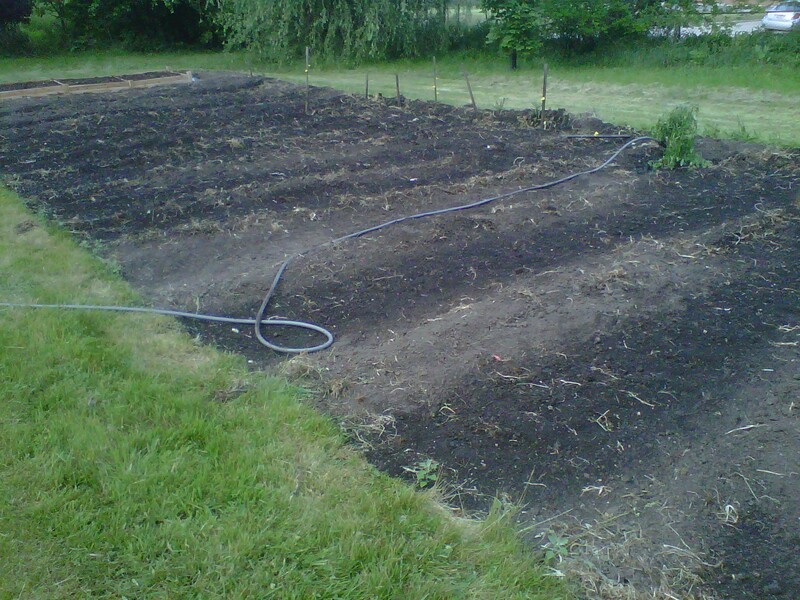 My favorite part about vegetable gardening is working so hard towards a final project. 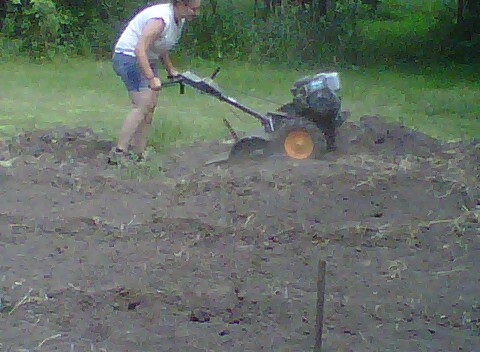 After all the love and care you get vegetables you can actually eat! I also like making a little extra money by selling the fruits (and vegetables) of my labor!